When you take out a new Insurance policy it’s difficult to see the value in it. Let’s face it what do you get ….a piece of paper and a booklet that you would never read cover to cover. When you arrange your insurance through CPS General you are no longer alone, because we can help you with any difficulties when you claim. Our client owns a large commercial building which is let to a tenant. During a severe storm the galvanised iron cladding fixed to the westerly wall of the building was ripped off in the wind taking parts of the brick walls with it. 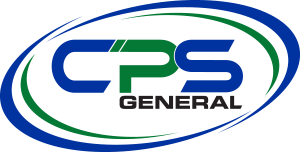 As a direct result of CPS General’s discussions with the Insurer, additional works previously excluded were accepted and the total claim settled for $30,743 instead of the initial offer of $13,200. As a direct result of CPS General’s discussions with the Insurer, the above costs were accepted and the total claim settled for $19,019.00 instead of the initial offer of $8,177.82. To access Resilium online claims simply click the button below and then complete the online form. A copy of the information that you have submitted will also be sent to your nominated email address and to your CPS Adviser.